A little while ago I was approached by Superdrug to create some looks for their 3 for 2 Winter Wonderland feature. I've worked with Superdrug before and it was an absolute pleasure, so I was ecstatic to be asked again. 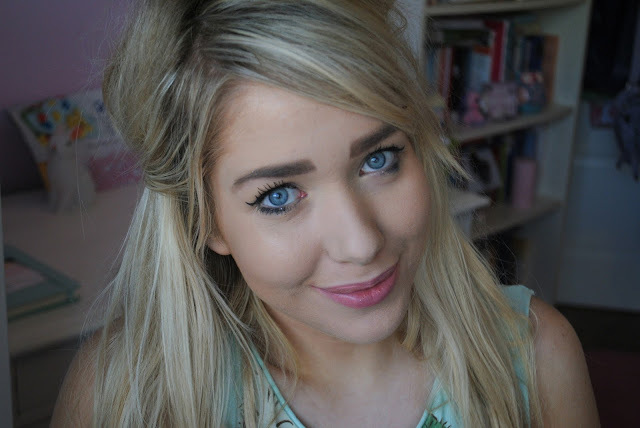 You can find all the looks and the products used here, but I thought I would talk you through them on here as well! I was a tad apprehensive about creating this look as I hate how I look doing 'minimal', but I'm actually really pleased with how the look turned out. I really loved using the Bourjois Happy Light Primer* as it completely mattified my skin, and I was amazed with the coverage the Max Factor Whipped Creme Foundation* achieved. I really love this foundation and will be popping up a full review very soon. Finally, I finished off the look with a bit of L'oreal's Color Riche Julianne Rosewood Lipstick in Beige*, which is a really pretty neutral shade. I really enjoyed doing this look as I wanted to go for really in-your-face Cara-esque brows. I usually do my brows fairly bold anyway but I took things up a notch here and really made them stand out. I was taken aback at how much it changed my overall appearance and I actually really love it. The Beauty UK Hi-Brow Kit* is amazing (another great dupe for the HD Brow Palette), and I finished it off with a slick of Maybelline's Gel Liner* and Rimmel's Scandaleyes Retro Glam Mascara*, both of which I'm really impressed with. The liner is something I've always wanted to try and I love it. Definitely my favourite look, Oxblood is really on trend at the minute and I really like how much it differs from my usual 'pretty pink' palette. I used the Vintage Romance Palette from Sleek* and it is seriously stunning. I was going to opt for the usual neutrals but I thought I'd really embraced the purple oxblood shade and go all-out, and I really like how this smokey eye turned out. I also absolutely adore the lipstick I used for this look, Collection's Gothic Glam lippy in Scorned*. It's a seriously amazing colour that would be ideal for Halloween. I painted my nails using Gosh's Nail Lacquer in Frosted Purple*, which is the most amazing matte-glitter polish I have ever seen. I had so much fun creating this look. I wanted to channel the Snow Queen and I think I achieved the look I was going for! 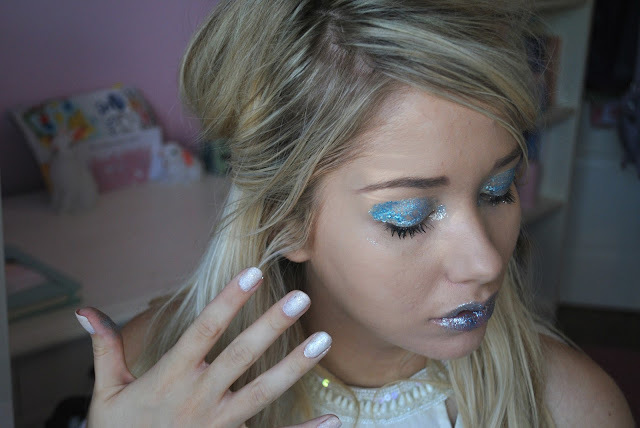 I used MUA's Luxe Glitter Palette in Rock Chick* to seriously glitter up the look, using it on my eyes and my lips for the ultimate Ice Queen factor. 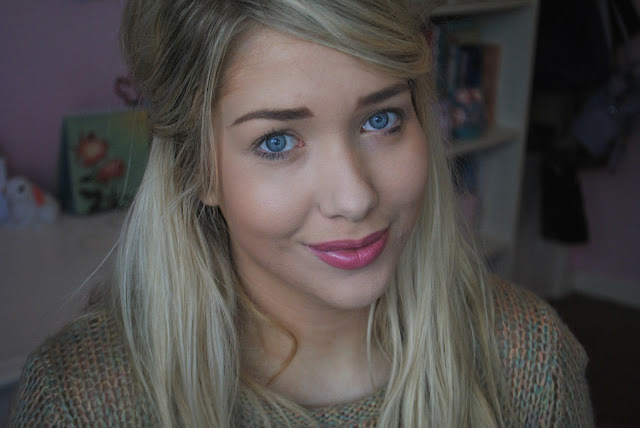 I used Revlon's Lash Potion Mascara* and finished off the look with Barry M's Textured Nail Paint in White Pearl*. This polish is so pretty and will be perfect for over the winter. All the products are listed on the Winter Wonderland page here if you want to know more about them. Let me know if you like the looks I created!